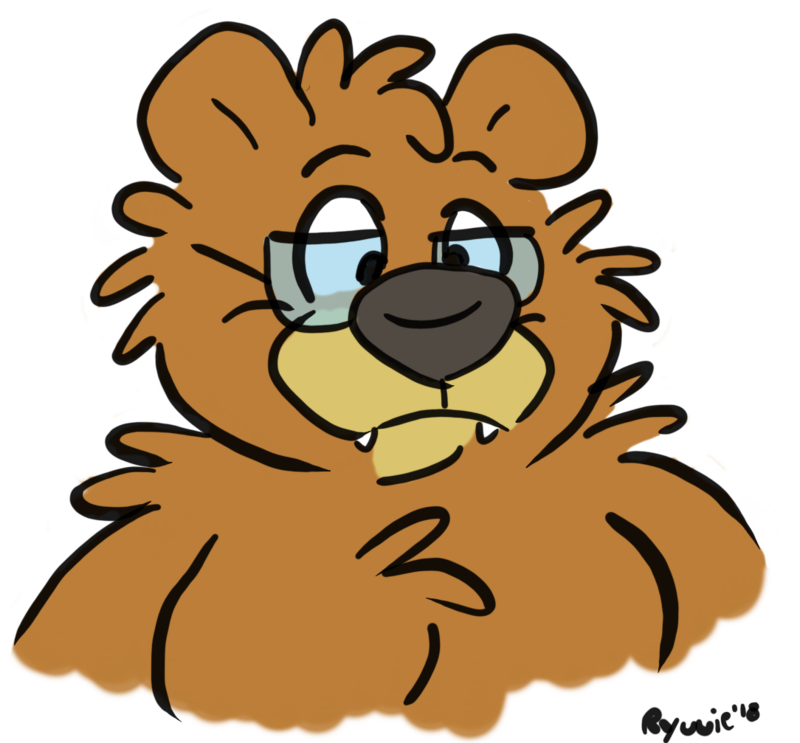 Have a bear. Let's call him Blueford. He likes overalls, high-end cellphones, comics, superheroes, and ham.